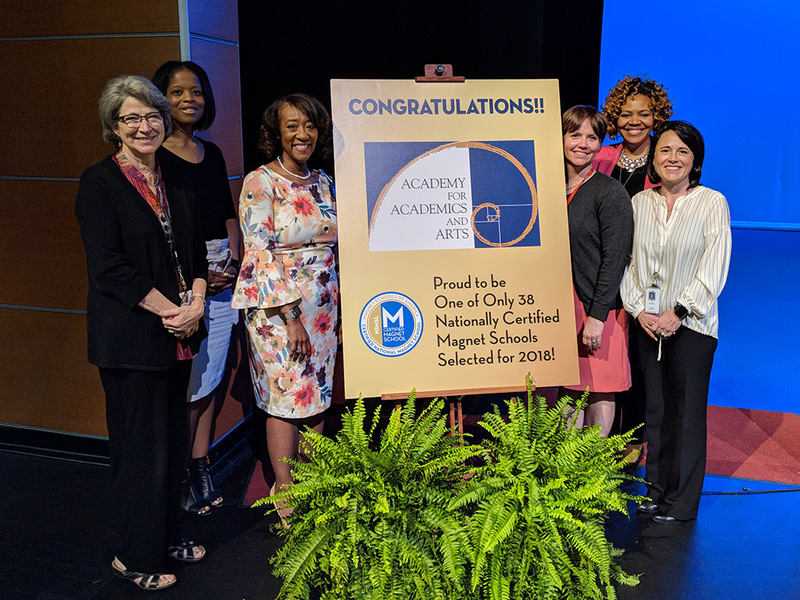 The Academy for Academics & Arts has been named a Nationally Certified Magnet School by Magnet Schools of America (MSA), the national association for magnet and theme-based schools. AAA is among 38 schools located in twelve states to successfully complete a rigorous nine-month evaluation process and demonstrate through evidence, reflection, and strategic action that it has established the best practices entailed in the Magnet School Standards of Excellence. “The certification process validates the highest caliber schools and programs we have in public education. It has been very encouraging for MSA evaluators to see the outstanding curriculum, professional educators, and learning environments that are provided for students in these magnet schools,” said Kelly Bucherie, Director for Magnet School Leadership, Magnet Schools of America. The national certification process is based on the MSA Standards of Excellence and the five pillars of magnet schools (diversity; innovative curriculum and professional development; academic excellence; high quality instructional systems; and, family and community partnerships). These pillars and standards define the essential elements and characteristics of high-quality magnet programs. Despite proving themselves amongst such high standards, school administration and staff say they will continue to examine practices and search for areas they can improve. According to AAA Principal Amy VanAllen, "This year our theme was actually reflection, and so we will continue to reflect on what is happening in our school and how we can make it better." To become nationally certified, AAA submitted a detailed application and participated in a rigorous evaluation conducted by the National Institute for Magnet School Leadership (NIMSL). The application process required the school to submit evidence demonstrating how it met each of the multiple indicators within the Standards of Excellence. This included providing specific examples of how the school is promoting school diversity, closing the achievement gap, integrating a theme-based curriculum throughout the school, and encouraging parent and community involvement. 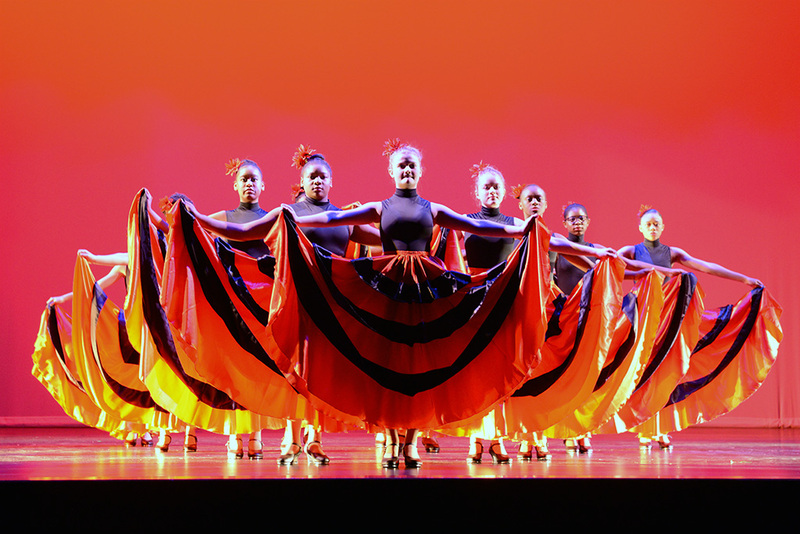 The Academy for Academics and Arts will be recognized during a ceremony held at Magnet Schools of America’s 36th National Conference in Chicago, Illinois on April 25-29, 2018. The school is also eligible to order a National Certification banner and will receive an electronic seal to place on its website and on other school materials to celebrate this new distinction. To learn more about the Magnet Schools of America Standards of Excellence Certification program, please visit the Magnet Schools of America Website.